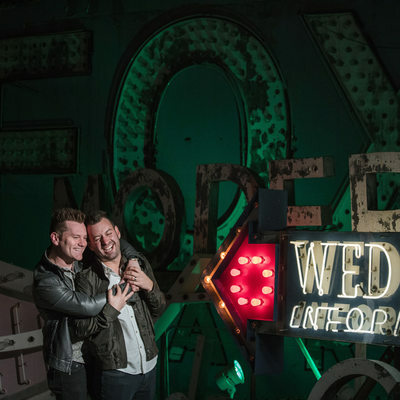 I'm a New York and Philadelphia wedding and engagement photographer. 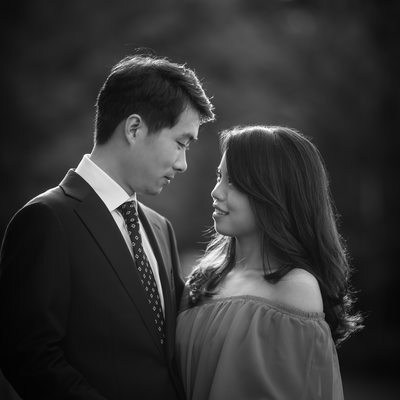 This gallery of engagement photography shows a representation of the many various types of engagement sessions that I have had the great pleasure of photographing. 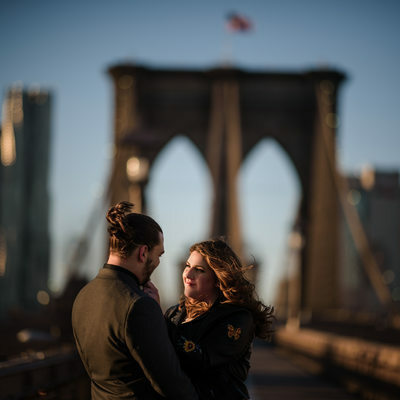 You will see engagement pictures all over New York, Brooklyn, Philadelphia, New Jersey, and even Florida. I wanted to share images from different locations so that you could see the many beautiful engagement photo locations that are possible. New York has such gorgeous spaces, one of my favorites being Central Park. I love the glorious Bethesda Fountain and the quiet charm of the nearby Bethesda Terrace. I love watching boaters near the Loeb Boathouse, and walking around the Bow Bridge. I think Central Park’s iconic mall is one of the most beautiful parts of the park at all times of year! 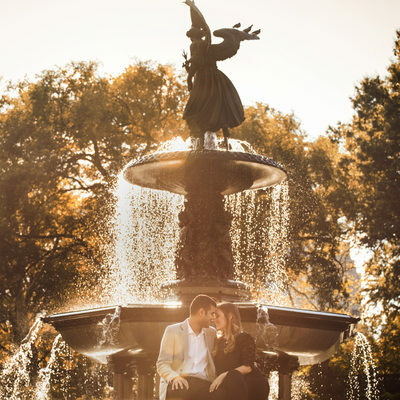 The rest of Central Park is equally beautiful for engagement photos, from Sheep Meadow to the Central Park Zoo. Other great options in the park are Belvedere Castle, Shakespeare’s Garden, and the Victorian Gardens. I also think that the Meatpacking District and the nearby High Line are stellar choices for a Manhattan engagement session. The cobblestone streets of the Meatpacking District evoke a very old-world Gotham feeling, and it contrasts beautifully with the urban garden that is the High Line. 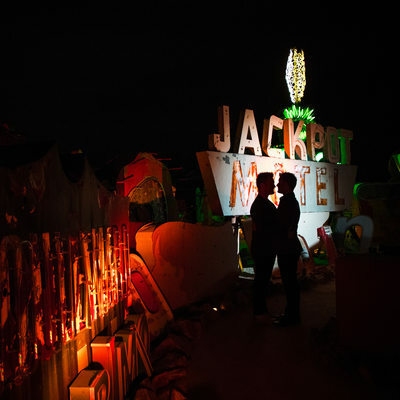 It’s a very versatile neighborhood with many great backgrounds and locations for engagement portraits. 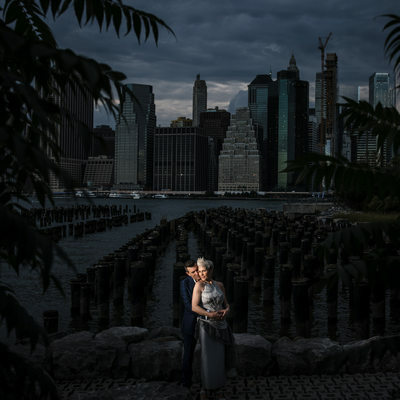 If you are looking for a great Brooklyn location for engagement photos, I highly suggest Brooklyn Bridge Park. With stellar views of Manhattan, as well as the Brooklyn and Manhattan Bridges, Brooklyn Bridge Park is a phenomenal location. I love that you can shoot near gorgeous foliage, turn around, and shoot a gritty urban landscape. The bridges in the background are really spectacular, and DUMBO is a phenomenal neighborhood. I always enjoy exploring the Brooklyn Promenade and Brooklyn Bridge Park. It seems like I find new and interesting places for portraits every time I visit! Since I am based in Philadelphia as well as Brooklyn, I love shooting Philly engagement sessions. 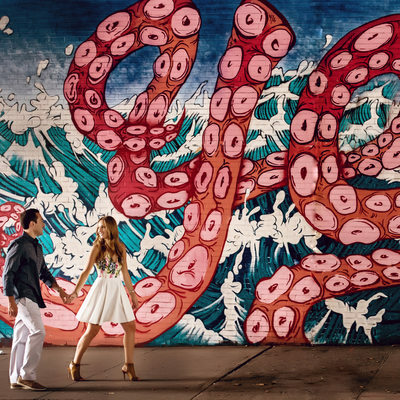 There are dozens of amazing Philadelphia engagement photo locations. One of my favorites is the Philadelphia Art Museum steps. I also love LOVE Park, Fairmount Park, the Horticultural Center, City Hall, Washington Square Park, Rittenhouse Square Park, Philadelphia’s Magic Gardens, Longwood Gardens, Logan Circle, 30th Street Station, Eastern State Penitentiary, Water Works, the Please Touch Museum, and Shofuso. If you’re a Philadelphia Phillies fan, you might even want to consider having your engagement pictures taken at Citizens Bank Park - how great would that be? If you are trying to decide when to take your engagement photos, consider getting them done in a different season than your wedding. 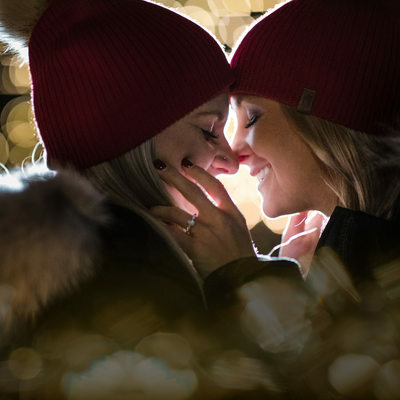 If you’re having a summer wedding, what about a beautiful wintery engagement session? Or if you’re planning for a snowy wedding day, what about a warm, summer day for your engagement photos? 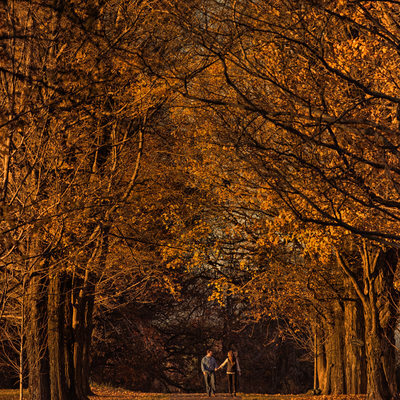 In New York and Philadelphia, autumn is my favorite season for engagement pictures. The fall foliage in the parks make for an incredible backdrop! Even though it can be brutally hot in the city in the summer, it’s also a good time for engagement portraits because the trees are so vibrant and green! I don’t just take engagement pictures in New York, Philadelphia, and Brooklyn. I have also shot at many locations in New Jersey, Pennsylvania, Connecticut, and beyond. I’ve been a destination engagement photographer since the very beginning of my business, and love traveling for engagement commissions. If you'd like to learn more about how an engagement session works, please feel free to check out my session information page.